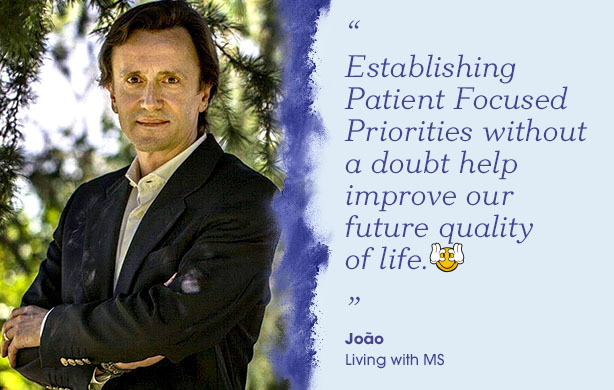 The World vs.MS is een initiatief van Sanofi Genzyme Europe. Deze website maakt gebruik van cookies, waarvan sommige mogelijk uw goedkeuring vereisen. Door op ‘ja’ te klikken, stemt u in met het gebruik van deze specifieke cookies. Voor meer informatie bekijkt u ons Cookiebeleid. What feelings did you have when you were first diagnosed with MS? When the diagnosis arrives it takes us by surprise, not only because we don’t know what’s wrong, but because we learn that there is still no cure for this illness. Fortunately, in my case, I was diagnosed quickly. That isn’t to say I wasn’t passed between a series of medical specialists before being diagnosed with MS. I went through a very difficult period. I had recently lost my father to lung cancer and confusion set in. During that time it was impossible to establish priorities, not only because of the challenge of accepting that now I was the patient, not my Father, but also due to the stress of being the centre of attention. I became the top priority for my family and closest friends. Everyone helps you. They all want to help, and you get to the point where you feel the need to breathe – just breathe! It’s suffocating being labelled “ill” and losing your decision making capacity and responsibilities. Can you share more about the moment of realisation where you discovered your priorities? Around that time, I was invited to join the management of an association for people with Multiple Sclerosis in the city where I live. By spending time with other sufferers I was able to see a different reality. The impact of the illness is different for every one of us. Every case is unique and we cannot view the successes or failures of each patient as a template. Why is discussing your Patient Focused Priorities (PFPs) with those around you important? Establishing PFPs alongside our friends and family, our doctor and the other healthcare professionals can also, without a doubt, help improve our future quality of life (QoL). QoL can be understood in several ways. For me, the cognitive aspect takes priority. I started reading more newspapers and books and got hooked on crosswords. Fluent speech and quick thinking was a definite target. I’ve never been a natural sportsperson, but I understood the importance of getting physical exercise to help with the tingling in my leg. I started walking regularly. At home, honesty became the key to dealing with my outbursts of anger. Whenever I had one, people told me and I stopped answering back, avoiding arguments. I’d even go to my room and relax for half an hour or so. In conclusion, establishing our PFPs undoubtedly acts as a tool for guiding us towards a healthy relationship with our illness. Respecting and accepting our new reality demonstrates genuine respect for ourselves and those around us. 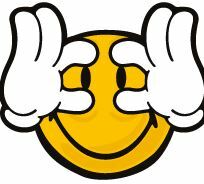 The results are already clear as people have stopped seeing me as ill. Indeed, in a way, they now expect as much, if not more, of me than they did before the illness. What are your priorities for 2019? 2019 will be a challenging year, as the launch of the Bladderunner App will keep me busy fine-tuning this tool. This will certainly appear in the PFPs of many of our community of Multiple Sclerosis sufferers. What one emoji captures the term PFP for you? Ontdek met het kaartspel ‘doen, durven of de waarheid’ zelf welke dingen je in je leven met MS anders kunt doen. Doen, durven of de waarheid. © 2018 – 2019 Genzyme Europe B.V. – Alle rechten voorbehouden. 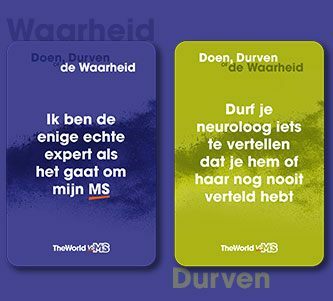 The World vs.MS en Sanofi Genzyme zijn geregistreerde handelsmerken. Je verlaat de site om een andere website van onze groep te bezoeken. Op deze website kunnen andere algemene voorwaarden gelden. Ik vond de informatie die ik zocht. Het was een geruststelling om dergelijke ervaringen te lezen die sterke gelijkenissen vertoonden met mijn eigen ervaringen. Het was goed om een frisse kijk op de dingen te krijgen. Het was gewoon niet echt interessant.